Elementary is an American crime drama series that presents a contemporary update of Sir Arthur Conan Doyle’s character Sherlock Holmes. 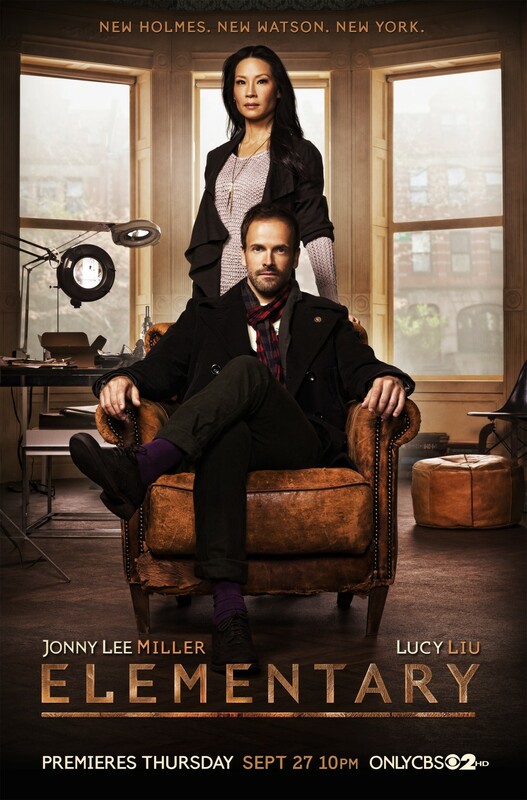 The series was created by Robert Doherty and stars Jonny Lee Miller as Sherlock Holmes and Lucy Liu as Dr. Joan Watson. Season one premiered on CBS in September 2012; season two began airing in September 2013; and season three began airing in October 2014. The series is set and filmed primarily in New York City. The show follows Holmes, a recovering drug addict and former consultant to Scotland Yard, as he assists the New York City Police Department in solving crimes. His indifference to police procedure often leads to conflict with Captain Thomas Gregson (Aidan Quinn), although the two still remain mutually respectful of one another. He is accompanied by Dr. Joan Watson, who initially acts as his sober companion. She is a former surgeon and was hired by Sherlock’s father to help him in his rehabilitation. They eventually begin to work together on his cases, and she becomes Holmes’ apprentice. The series also features Holmes’ ongoing conflict with his nemesis Jamie Moriarty (Natalie Dormer). Other supporting roles include Jon Michael Hill as Detective Marcus Bell and Rhys Ifans as Sherlock’s brother, Mycroft Holmes, who wishes Sherlock would return to the United Kingdom.